Eden Nori Sea Vegetable is cultivated on nets supported by bamboo poles. This intricate substratum is placed in shallow pristine bays in late September or early October. Over the autumn, winter, and early spring months, with the coming in and out of the tide, the nori spores attach to the netting and slowly develop into nori fronds or leaves. In spring the fully developed fronds are hand harvested at low tide and taken ashore. The nori is washed, chopped and placed in mixers. It is then pressed between woven reed mats and dried into flat, paper-thin sheets. Our nori is a lustrous purple black color with a fine aroma missing in lesser grades. 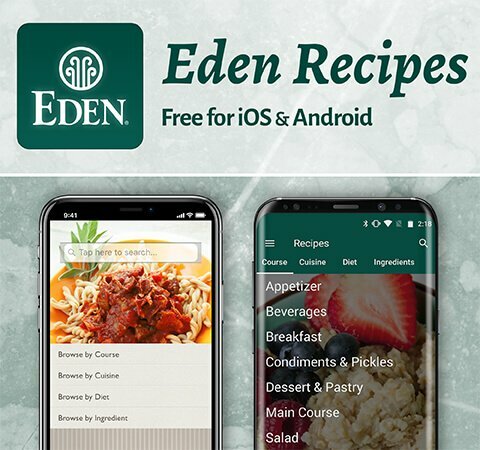 Eden Nori Porphyra tenera is cultivated off the west shore of Ise (ee-say) Bay in Japan, an area surrounded by National forests and mountains, known as the 'Ocean by Mountains'. Pristine mountain rivers nourish the bay creating a mineral rich environment. This area leads all of Japan in ecology movements. Development is forbidden to ensure future generations the legacy of this famous edible seaweed resource. Nori is a red algae or deep purple laver of which there are over thirty species. 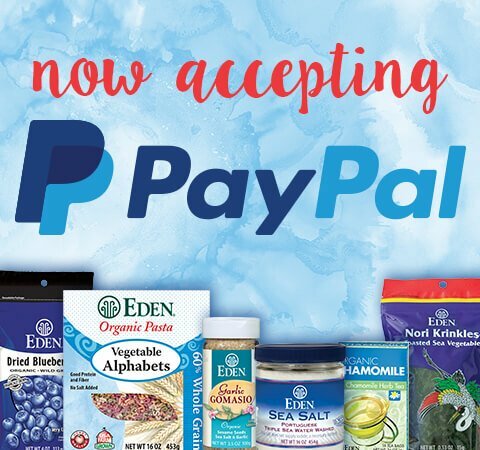 Nori has been harvested since ancient times providing people with a healthy food source - minerals, vitamins, trace minerals, iodine, and protein. It is the sweetest sea vegetable and most easily appreciated by the Western palate. 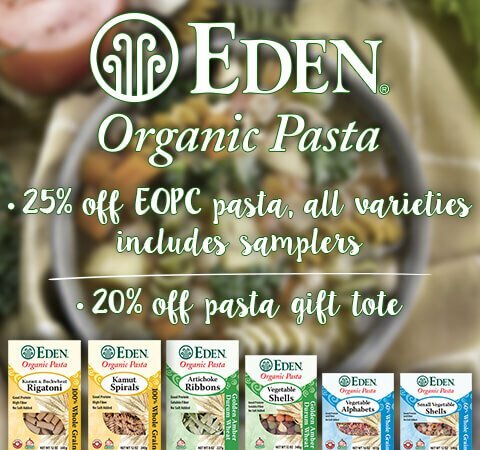 Eden Nori is is low in calories (5 per sheet), is fat and cholesterol free and a good source of vitamin C. According to the FDA, "Low fat diets rich in fruits and vegetables (foods that are low in fat and may contain dietary fiber, Vitamin A, or Vitamin C) may reduce the risk of some types of cancer, a disease associated with many factors." Also, "Diets low in sodium may reduce the risk of hypertension or high blood pressure, a disease associated with many factors." 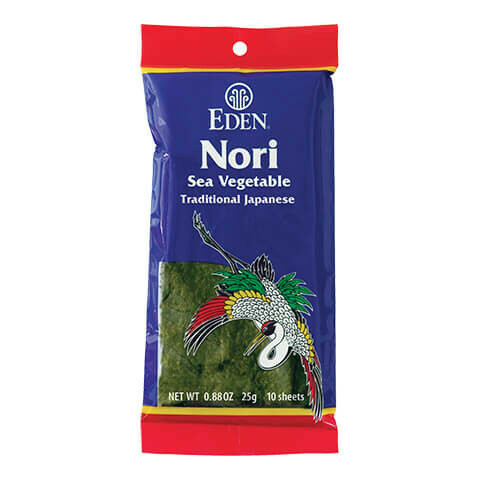 Eden Nori is very low in sodium (5 mg per sheet). For those who use sea salt, which does not contain iodine, nori is an excellent source of iodine with 1 sheet providing 70 percent of the daily value (DV). This Eden Nori is not toasted. Follow package directions for toasting. It takes only seconds, turning it a bright green. Essential for making sushi, nori rolls and rice balls. After toasting, nori makes a wonderful garnish when sliced or crumbled over grain, vegetables, soups, noodles, and salads.